Marlla Lemos came to the Vineyard at age seven; she is currently a student a UMass Boston and an MVYouth scholarship winner. In November 2015, three seniors at the Martha’s Vineyard Regional High School were invited to speak before the school committee and share their post graduation plans. All three had moved to the Vineyard from Brazil when they were six or seven years old. In their presentation, Marlla Lemos, Amadine Muniz and Marcelle Alves said they planned to go to college. All three were recipients of Deferred Action for Childhood Arrivals (DACA), the program that protected undocumented immigrants who arrived in the United States as children from being deported and allowed them to obtain work permits, drivers licenses and apply to college. On Tuesday this week, the three young women, now sophomores in college, learned that the program that has helped them follow their dreams would end in six months. Marlla Lemos, 20, spoke to the Gazette on the phone from Boston, where one day earlier she had finished her first day of classes at the University of Massachusetts in Boston. Thursday found her preoccupied with a task not related to schoolwork: filling out the application to renew her DACA and paying a fee of $500 that will strain her already tight finances. Still, Ms. Lemos counts herself as one of the lucky ones — her DACA permit expires in February, before the March cutoff, so she can get it renewed for another two years. She knows of other Dreamers — as DACA recipients are called — whose status isn’t so certain. Ms. Lemos said she first learned about President Trump’s decision to rescind DACA through Facebook. She thought it was a joke. But then her best friend called. “She was crying, she was scared because her little brother is renewing [his DACA] now . . . she thought he was automatically going to be out,” Ms. Lemos said. “That’s when it hit me what was happening.” She said she and her friend cried together on the phone and tried to console each other. “Trying to make jokes — laugh so you don’t cry — trying to tell each other everything is going to be okay,” she said. Ms. Lemos came to Martha’s Vineyard when she was seven, traveling from Brazil with her mother and older brother. She spent the first month wanting to go back home to be with her friends. But soon she settled into American life. She went to school, made friends and didn’t see herself as any different from her peers. She couldn’t get a driver’s license, couldn’t apply for the after-school jobs that her friends had, couldn’t apply for college. While her friends got jobs at the Black Dog, she was limited to jobs that would pay under the table. “I didn’t want those under-the-table jobs, I wanted to work at the store like everyone else,” she said. Her friends knew she was undocumented, she said, but she didn’t think they knew exactly what that meant. “I was always the oldest in my grade, everyone was like, you get your license first and drive everyone around,” she recalled. But she couldn’t get her license. Her brother, who is four years older, applied for DACA when he was 19. No one else in her family spoke English, so she relied on him for information about the program. She learned that through DACA, undocumented youths could obtain Social Security numbers and therefore get their driver’s licenses. Later, she found out she was eligible to apply for jobs and go to college through the program. She applied for DACA status, and while she was on a trip to Georgia with a friend who was moving, her father called to tell her she had received her card. Suddenly the opportunities her peers could take for granted were available to her. “The first thing I did was get a job at the Black Dog, then I started dreaming about going to school,” said Ms. Lemos, who is the first generation in her family to go to college. “I was so ambitious . . . I started thinking that I’m going to be a doctor,” she recalled. The same year she received her DACA status, her father decided to move back to Brazil. Her mother had moved back three years earlier, when she was 13. Her father had bought her a ticket to go back as well, but she didn’t take it. “At 16, I made the decision to stay alone and fend for myself,” she said. For a year she stayed with a friend, but it wasn’t a long-term solution. She started her senior year of high school alone and basically homeless. She was crying in the school hallway when her guidance counselor, Mary MacDonald, walked by. Ms. Lemos had never used the guidance office except to change her class schedule, but she found herself spilling her whole story to the counselor. Ms. MacDonald offered to let Ms. Lemos stay with her family. Ms. MacDonald encouraged Ms. Lemos to apply to every college she could, and she encouraged her to apply to the MVYouth scholarship program, a relatively new program aimed at bettering the lives of Island youth. In 2016, Ms. Lemos received a MVYouth scholarship that would cover the cost of attending UMass Boston. She was the first DACA recipient to receive a scholarship from MVYouth, executive director Lindsey Scott said this week. MVYouth applicants are selected based on academic performance, character and service — only at the final stages of the selection process is financial need considered. Ms. Scott said they didn’t seek out DACA students, but they also didn’t include U.S. citizenship as an application criteria. “We became aware of the DACA status, the definition of a DACA student, once we had applicants we were serious about,” said Ms. Scott. As of this year, the scholarship program supports three DACA students. With the program in limbo, all three students have shared a sense of strain and destabilization, Ms. Scott said. Even for Ms. Lemos, who is able to renew her permit, the news has left her feeling frustrated and a bit like a sitting duck. With the extended permit, Ms. Lemos will be able to finish her undergraduate degree. She has decided to study to be an immigration lawyer. She’s also worried about her friends and family members who are DACA recipients — including the two classmates who stood with her before the Vineyard school committee that November day in 2015. Marcelle Alves, 19, is studying to become an immigration lawyer at the University of Arizona. “I never thought that young students who are trying to do nothing but get a good education would be a target in all of this, it took me by surprise,” Ms. Alves told the Gazette by phone. “We’re really not the enemy, we don’t want to take anything from anybody. We’re all the same, we just want a career and education, despite being American on paper or not.” She said at the moment she is focusing on the only thing she has direct control over: doing well in school. 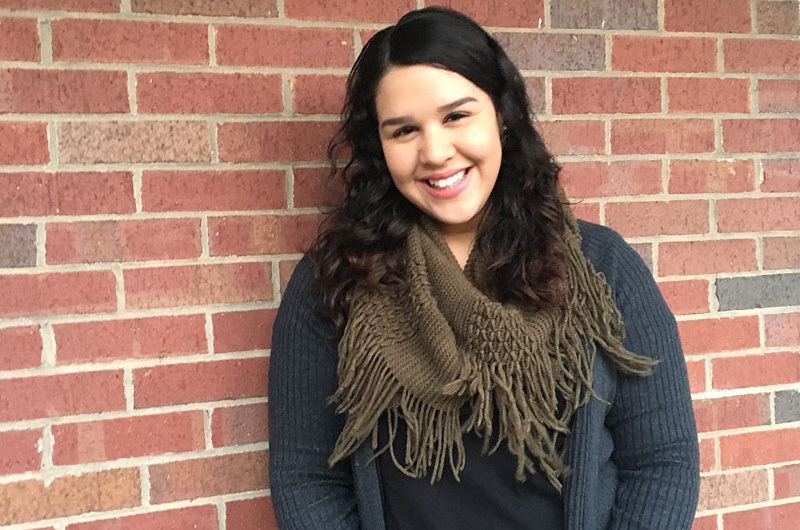 Amadine Muniz, also 19, is studying English at Framingham State University. She told the Gazette she is worried about her younger brother, who just began his senior year of high school on the Vineyard. DACA is a shining example of the true spirit of America,the real source of our greatness, and a beacon of hope for our future. What's happening now is either another regrettable example of management by fear and uncertainty, or a clever attempt to get Congress to do the right thing- something it should have done long ago. As the children say, "Time will tell."